The first visit to any new practice can be daunting. Our practice is very relaxed and you will be warmly greeted by Aine, our Chiropractic Assistant, who will explain the procedures for the first visit. 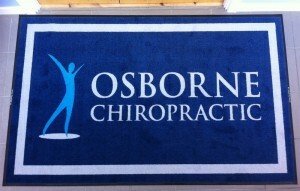 We will start you off with some basic paperwork prior to your consultation with the Chiropractor. Next, you will have a one-on-one consultation with Dr John Osborne or Dr Marie Osborne where he/she will discuss any health goals, concerns, or questions you may have. After all of your questions have been answered, a Chiropractic exam will be done. This exam checks several important areas of your health including posture analysis, blood pressure, reflexes, range of motion, and of course your spine. Special computerised scans to assess muscle and nerve function will also be performed. After the exam, your results will be analysed to determine if you are a good candidate for Chiropractic care. If so, we will develop a personalised care plan that will start on your following visit to help you reach your health goals as quickly as possible. Your first visit to our office typically takes 45 minutes to an hour, depending on the findings. During your second visit, your results from your consultation will thoroughly be explained. From there we will lay out all recommendations and a care plan that has personally been constructed for you. Once you are happy to proceed your first Chiropractic adjustment will take place and Dr. Osborne will walk you through every step of the way if this is your first time. After your adjustment, you will again meet with Aine on reception to help you schedule any needed future appointments in accordance with your care plan. This visit is shorter than the first, taking approximately 30 minutes. A typical office visit is much less time-consuming than your first or second, but is definitely just as important! Like a regular workout at the gym, each adjustment builds on the previous one. We know your time is valuable so we do everything possible to run on time and keep you on your schedule. Plan on allowing between 15-20 minutes for a typical visit throughout your care plan. Ready to get started? Call us today or click here to make an appointment.